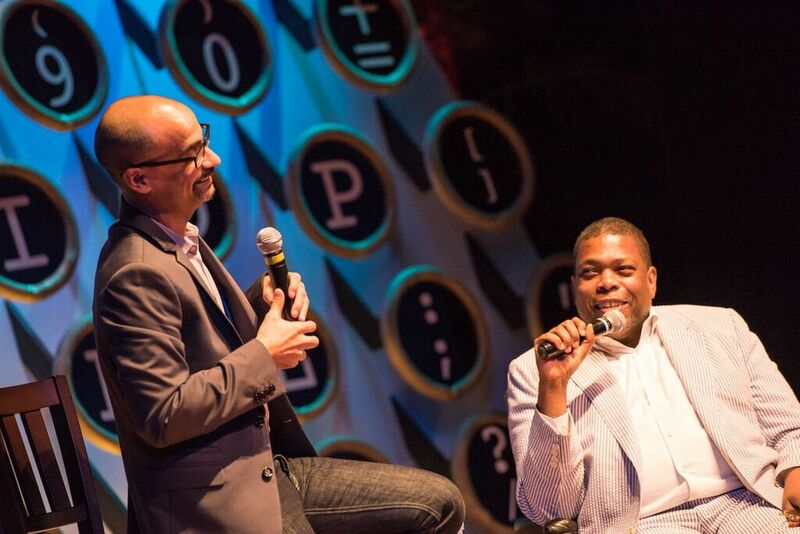 More than 500 unique presentations by the world’s most influential writers are available in our audio archive. The selected recordings featured here include a brief introduction with biographical information about the speakers and a summary of the material. We encourage educators worldwide to use these unique resources and share them with your community of readers. 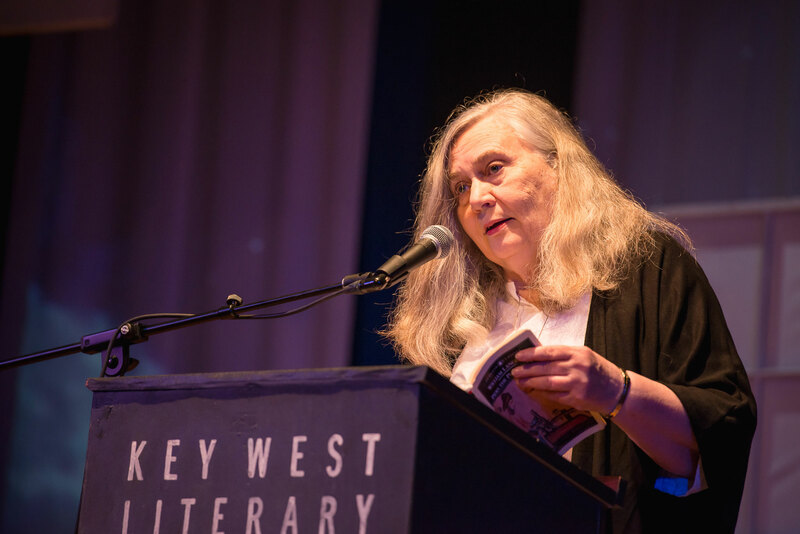 During this talk from the 2015 Seminar, Marilynne Robinson delves into the notion of grace and its various appearances in current and past cultures. 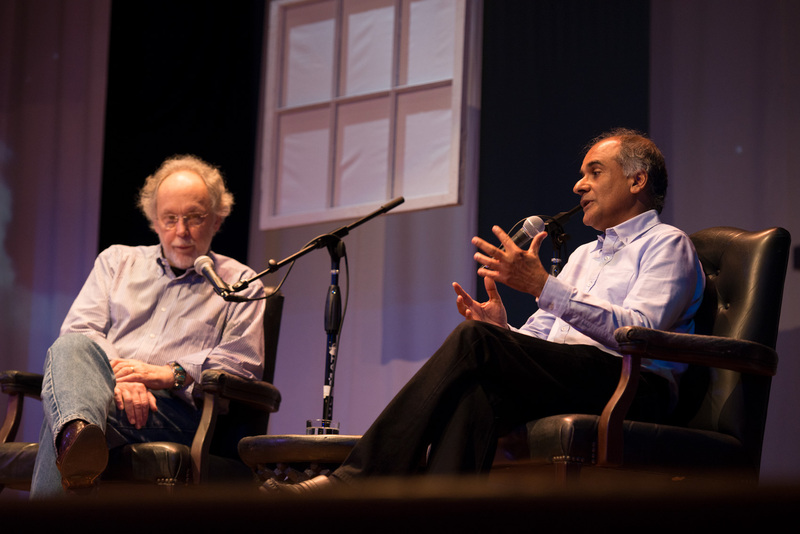 This conversation from the 2015 Key West Literary Seminar focuses on the concept of wonder and its relation to writing and living. 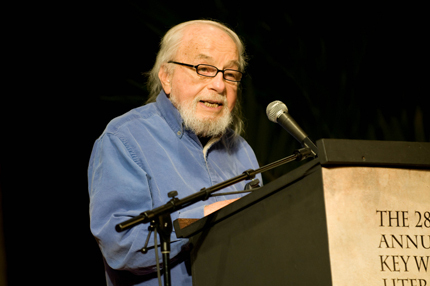 The late Harvey Shapiro reads a selection of his poems as well as work by Richard Wilbur and Yiddish writer Joseph Rolnik. Shapiro discusses the impact of World War II on the ‘class of 1924’ and talks about his mentors Charles Reznikoff, Louis Zukofsky, and George Oppen. 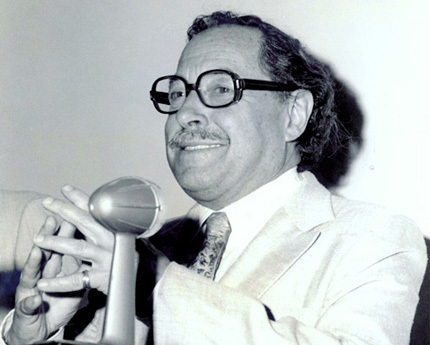 The great playwright Tennessee Williams produced this recording for the Key West Library in 1971. 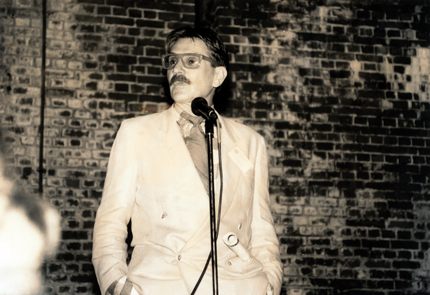 The fifteen-poem selection includes the never-published ‘The wayward flesh has made me wise…’ and provides a rare opportunity to hear the voice of an American master. 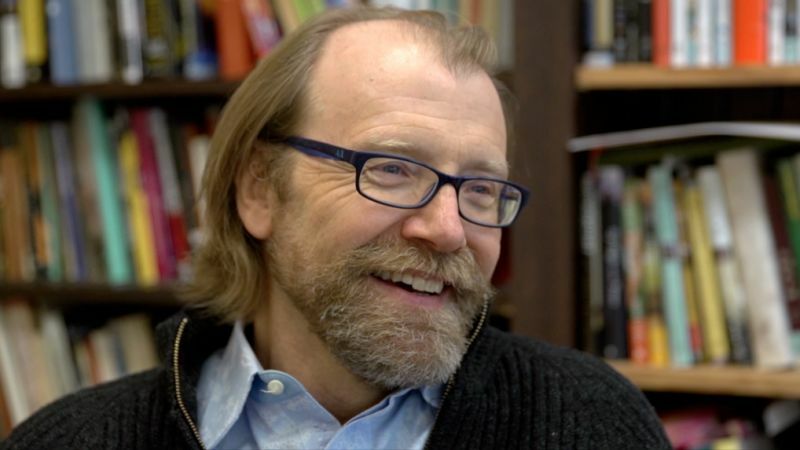 George Saunders is a fiction writer and essayist noted for his acute sense of satire, outrageous humor, and keenly perceptive observations on contemporary life. 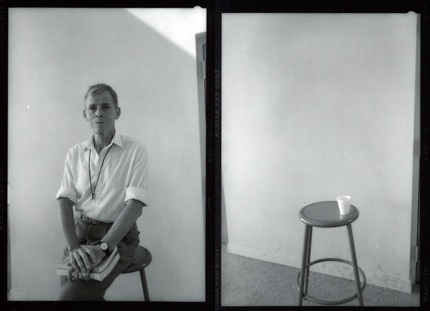 In this talk, he recounts his coming of age as a writer and explains how he learned to stop aping his literary idols and begin making use of his own life and times. 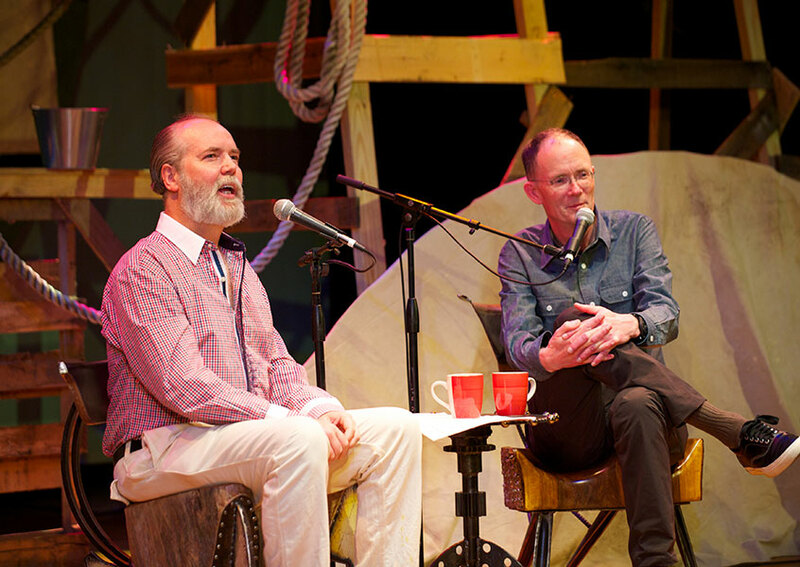 Douglas Coupland and William Gibson discuss technology, culture, and the craft of writing. Communications technologies are a “global memory prosthesis,” says Gibson, and aspire to an experience in which distinctions between the “virtual” and the “real” are dissolved. “We are already the borg,” Gibson says. 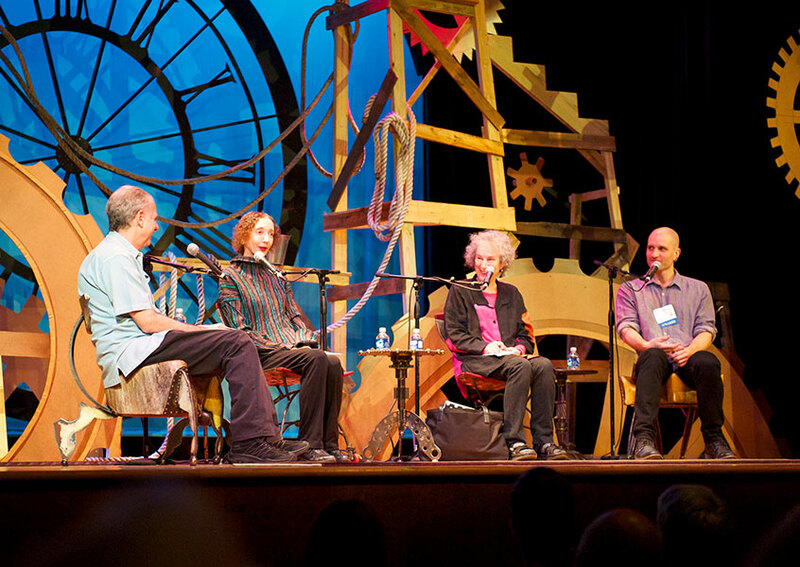 Acclaimed science and technology writer James Gleick leads Year of the Flood author Margaret Atwood, British novelist China Miéville, and American writer Joyce Carol Oates in a discussion of the tensions between the real and the unreal inherent in writing and reading works of fiction. 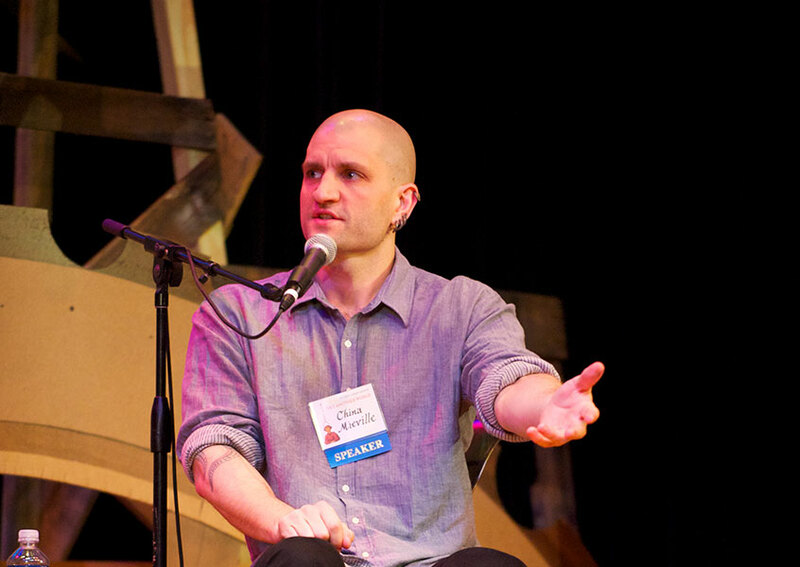 British novelist China Miéville is a 3-time winner of the Arthur C. Clarke Award, given to the best science-fiction novel published in the U.K. Here he explores genre, ‘the elephant in the room,’ argues for its embrace as a useful taxonomy, and urges writers to aspire to the ‘swagger’ of hip-hop artists Jay-Z and M.I.A.